When a Shakespearean tragedy holds a Groundhog Day twist, a young woman must try to change the future to prevent the death of everyone in the castle. 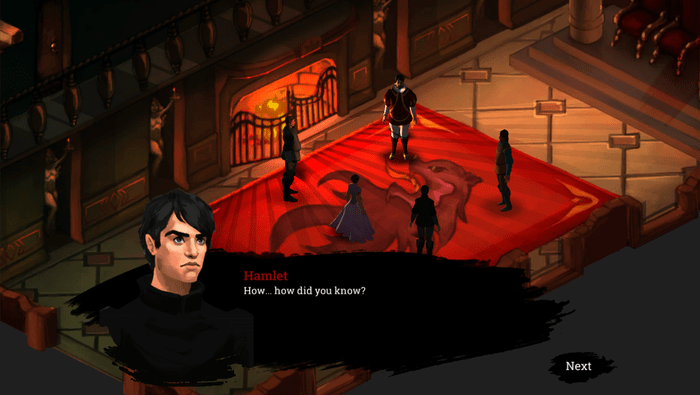 A team of six friends are hard at work developing Elsinore, a time-looping adventure game. 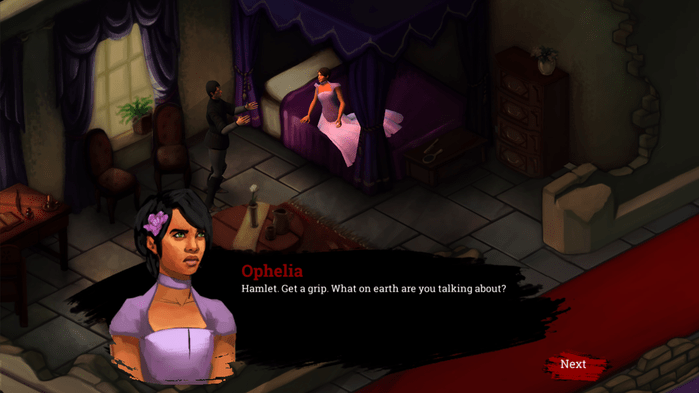 In Elsinore you play as Ophelia, a young noblewoman, who has a terrible vision that in a few days everyone in Elsinore Castle will be dead. The game places her in a time loop where she tries to over and over to prevent the future. I’ll admit that what first drew my attention to the game was the Shakespearean tie-in. I’m a big Shakespeare nerd. One of my prized possessions is a hardcover collected works I’ve had since middle school, I’ve done pop-up public plays and love the Kill Shakespeare comics. 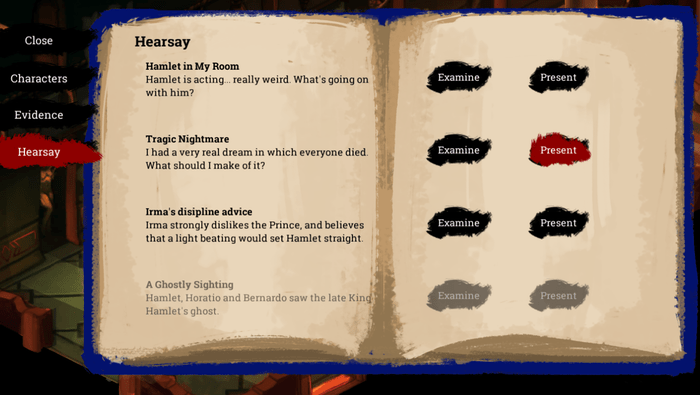 That said, the way the game appears to be crafted, it still looks like a fun storytelling game even if you don’t know what iambic pentameter is. I’m also a fan of the art style and I really like what appears to be variations in the character skin tones. Team lead and writer, Katie Chironis wrote about the topic of diversity in Elsinore for Gamasutra. I’m happy to see a woman of color in what many think of as traditionally white stories. Special bonus: According to a post on their Tumblr page, there should be queer characters in the game too. Another plus is the twist in not knowing if Ophelia’s action will actually change the future. I’m intrigued by the concept. When done well, I think this is a viable tool in a developer’s toolkit. Take for example, Nina Freeman’s Freshman Year, which explores a college student’s distress at receiving unwanted sexual attention. Even though you know your actions don’t change the outcome, experiencing the game itself is powerful. Finally, if you’ve been reading my Get Your Game on Wednesday articles each week, you’ll know I’m a huge supporter of women in the game industry. I’m thrilled that this team has mix including women as part of the writing and engineering sides. Kickstarter funds are slated for IT costs, licensing, contractors and backer rewards. Since the main goal has already been met, the stretch goals are starting to unlock. My fingers are crossed that the 1000 backers stretch goal is unlocked for alternate costumes. Backer rewards start at the $1 level for a shout out in the credits, the $15 reward level will get you a download key for the gamet and the $10,000 level to make yourself, at at least your likeness, into the monarch of Sweden in the game. If you like the idea of game immortality but are $9,875 short, consider the $125 level which adds your name to a gravestone in the Elsinore graveyard.